Bio: Leigh-ann Newburn, 29 year old from Shap, Cumbria, began teaching yoga as Yogi in the Lakes in 2017 after falling in love with the practice of yoga many years before. 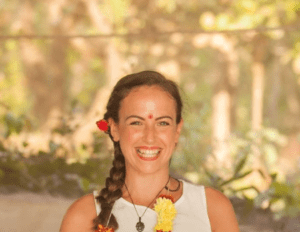 Having always had a love for the human body, she qualified as a Physiotherapist in 2011, but never felt that this way of helping people with their physical health was the right one from her, so she stepped away from the profession to pursue other avenues -7 years on and the knowledge base she developed as a physiotherapist is now invaluable to her yoga practice and business. Leigh-ann left a management roll to begin her journey as a self employed yoga teacher, having been teaching now for a year and a half is now running a full time yoga business as well as assisting her husband to run a 30 bed B&B.